We have had a bumper crop of courgettes and tomatoes this year, many thanks to our dedicated gardeners, they are doing a super job! I am pleased to announce my two new Head Gardeners for the summer term. 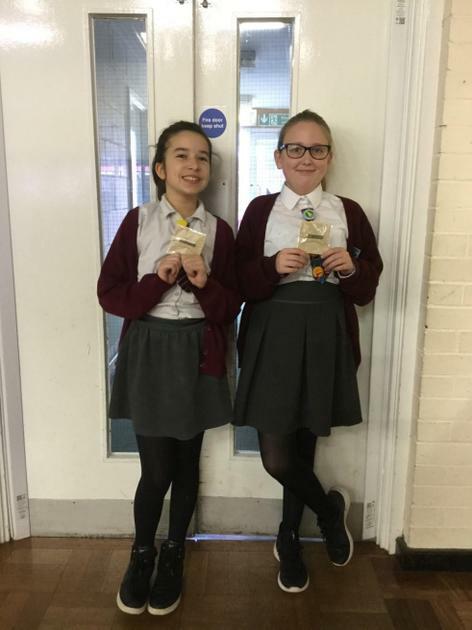 Congratulations to Beatrice and Ruby from Year 4. Well done girls, you deserve this as you are always there and always hard working. Gardening club have been super busy filling their lovely new veg beds. They have made their own runner bean frame this year and are having a go at growing strawberries outside the greenhouse. Thank you to Mrs Ashman and the PTA for these super beds and to Mrs Poyser for her donation of gardening equipment including these super long bean poles. If anyone has any teacups or mugs they don’t need which would look nice with a plant in we would also be very grateful. These can be left by the greenhouse or handed in to the office. Thank you. This week I would like to say a huge thank you to Susan Jones and the Beaconsfield Community Association for their very generous donation of £250.00 towards the club. Thank you also to my Gardeners for their wonderful letters to the Association which helped us to receive it. The money will go towards renewing the vegetable beds. Any "handy" parents who could help us rebuild them please do get in touch. I end this week with a huge thank you to Beaconsfield Garden Centre for our magnificent Christmas tree. Each year they very kindly donate one to the school so please remember when you’re out tree hunting that they have the very best real and artificial trees in the local area and a superb array of decorations to adorn it with. The gardening club will be moving from Tuesdays to Mondays starting next week as requested by some of my Gardeners to avoid clashing with other lunchtime activities. Gardening club have not one but two new Head Gardeners. Congratulations to Valentine and Mariam. I just couldn't choose between them as they are both so hardworking and enthusiastic so well done girls and thank you. Thank you also to Grace who has been a wonderful head gardener and has kept the greenhouse very tidy. Gardening club have heard today that Miracle Gro will no longer be doing their Learning Journey and exhibiting at the Chelsea Flower Show. This is sad news for the club as it is a big part of their year but I am sure there are many new challenges we can find. I would like to thank all my past Gardeners which helped us reach the coveted Gold Medal last year and my current Gardeners who I'm sure will be very disappointed. Thanks must also go to our wonderful PTA and our parents who always support us. We would never have done it without you all. This week we have been busy planting a few flowers to ward off the winter blues and weeding our vegetables to keep them in tip top condition. My new gardeners are doing a splendid job. Please remind them that they should go to lunch straight away when released from class and then come to gardening club that way they will not miss anything. Our gardeners have been busy planting their leeks and curly kale then removing the seeds from the giant sunflower heads so that they can feed the birds. They will be coming home with a bag next week. Thank you to all the Year 3 parents who emailed to request a place at gardening club. I am happy to say all who requested to come have a place and it was lovely to see them. I hope they enjoyed their fruit from the orchard. Next week we will begin planting for the winter months. 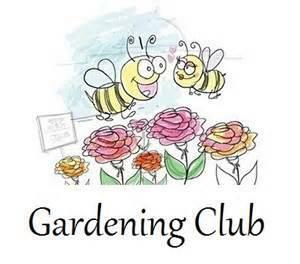 Gardening club is held every Tuesday lunchtime weather permitting.